It’s easy to label progressive rock as pretentious, bombastic, and self-indulgent. The polarizing genre, popularized by prog pioneers such as Rush, Yes, and Kansas, has long been criticized for its propensity for lengthy solos, grandiose stage shows, and nonsensical lyrics. But with any musical style, there are a plethora of both good and bad examples. 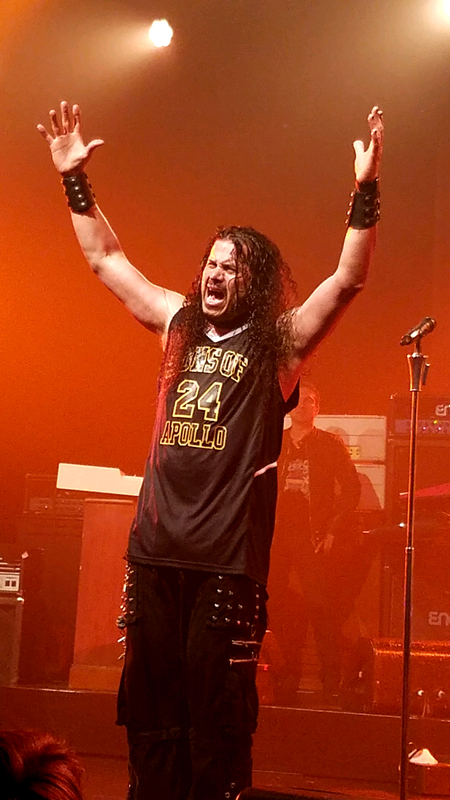 Sons of Apollo, unquestionably, fall into the former category. For all the complaints about the maligned art form, at its core, prog rock is a broad fusion of many different elements – and when done well, is as sonically pleasing as any other type of music in the rock realm. A true metal supergroup, the band’s lineup is a who’s who of rock royalty. Fronted by ex-Journey powerhouse vocalist Jeff Scott Soto, the five-piece shines in its propensity to allow each member to showcase his virtuoso-like ability on each respective instrument. Headlining the PlayStation Theater in New York City on May 18, the group’s mastering of their craft was on display in full force. The 11-minute epic “God Of The Sun,” the lead track on the band’s debut effort Psychotic Symphony, doubled as the opener – a wise choice, as its slow build caused the anticipation to escalate before Soto’s vocals were finally unleashed nearly three minutes after the song’s start. “Signs Of The Time,” the first song written by the band, in addition to being their initial single, followed. Its heavy, yet melodic, quality established the number as one of the many standouts of the evening. 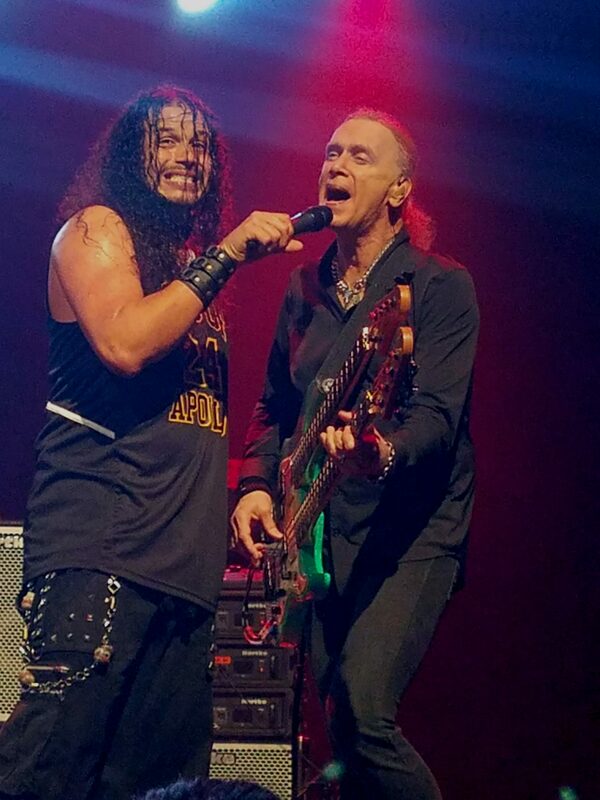 The foundation of the unit was provided by ex-Dream Theater drummer Mike Portnoy and Mr. Big bass specialist Billy Sheehan, whose synchronistic playing resulted in as tight of a rhythm section as you’ll likely ever find. Portnoy’s Dream Theater cohort Derek Sherinian, an integral Sons Of Apollo member considering the band’s hefty keyboard presence, added an air of authenticity to the two DT tracks covered, “Just Let Me Breathe” and “Lines In The Sand,” both off of 1997’s Falling Into Infinity, Sherinian’s sole studio appearance with his former group. A fun interpretation of the “Pink Panther Theme” as well as the familiar chords of the now defunct VH1 Classic series That Metal Show highlighted a wonderfully frenetic guitar solo by ex-Guns N’ Roses guitarist Ron “Bumblefoot” Thal, who had an added incentive since his mother was in attendance, cheering her prodigy of a son on, along with everyone else inside the packed venue. Impressively clocking in at a full two hours, the group’s encore began with a rousing rendition of Van Halen’s “And The Cradle Will Rock…” before they launched into what is perhaps their greatest accomplishment as a unit, “Coming Home,” a masterpiece of a song that was a fitting finale at a New York City performance for a band who can call four out of five of its members (Sherinian, from Southern California, being the lone exception) native New Yorkers. 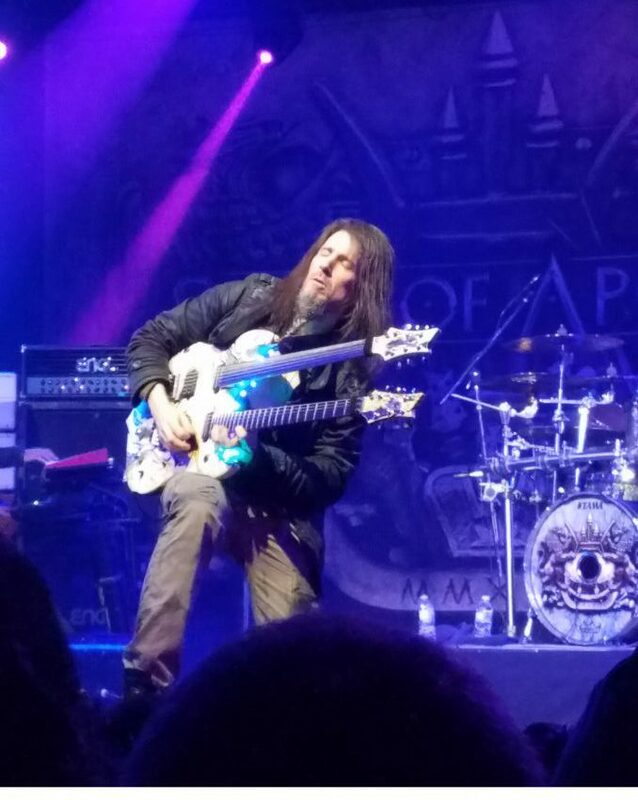 Click here for Sons Of Apollo’s tour dates. Click here for upcoming shows at the PlayStation Theater.